Are You Looking for a Rockledge Replacement Window Contractor Today? Vinyl double hung windows save space, but they should also match the décor of your Rockledge home. Windows should be placed in such a way that they can allow enough fresh air and ventilation. Thus, sufficient light can enter into the room. A professional Rockledge replacement windows contractor can tell you whether a room would best be suited for these types of windows. Performing the installation yourself is only recommended if you truly understand the process. After all, a poorly installed window will not only take away from the beauty of the room but it will also allow heat to escape in the winter, cutting down on the efficiency of your Rockledge HVAC system and costing you money. "This is my 3rd review for Windows Plus. I have used Windows Plus in 3 different houses for a total of 5 times. The first time around 2001, again in 2009 and now 2014, Twice for windows, once for a garage door, once for sliding doors(2 doors) and twice for a bay window( 2 different houses). Honestly, their quality and price has been fantastic every time and as a Mechanical Engineer I scrutinize everything. You can pay more or you can pay less but I find Windows Plus provides the best quality/value combination. Throughout the 14+ years that I have been using Windows Plus, they may have changed suppliers because a vendor either raises prices without quality or lowers quality without prices but Windows Plus will find another vendor so they can continue to deliver value to the customer. Throughout the years, I have recommended Windows Plus to several neighbors and friends and the quality has been consistently high every time. I just wish I could find the same quality/value in a contractor for my other home improvement needs." 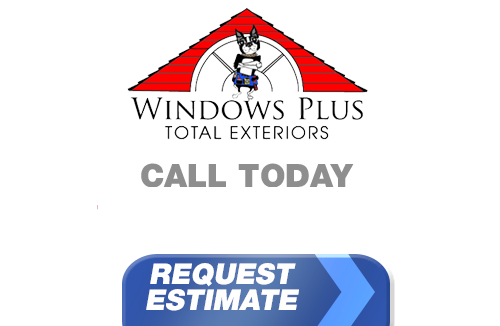 If you live in Rockledge and you're looking for professionally installed Replacement Windows, Doors, Vinyl Siding or a great Roofing Contractor, call Windows Plus today at 610-572-4733 or complete our online request form.